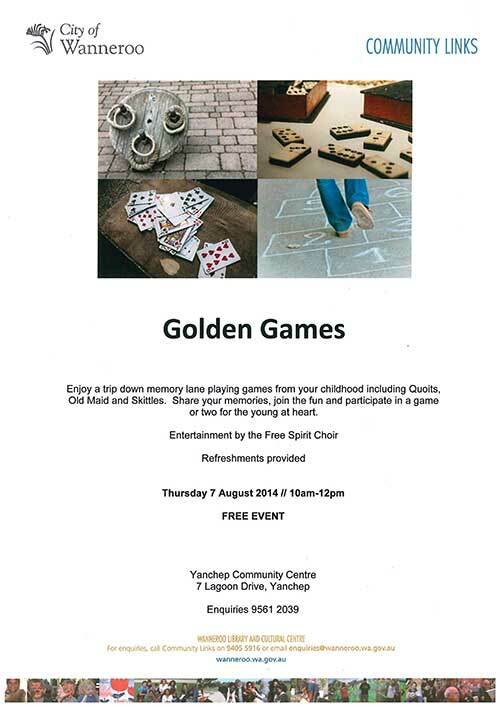 On Thursday, 7th August the Yanchep Community Centre is to be hosting a Golden Games event from 10am – 12pm. It will be a free event which will host a number of games that you may remember from your childhood! 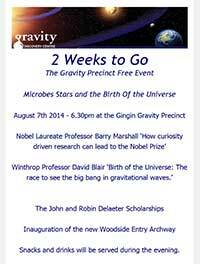 Only 2 weeks to go until the Gravity Precinct Event opens on Thursday, August 7th at the Gingin Gravity Centre. The day will include talks about Microbes Stars and the birth of the universe, by experts themselves. Food and drink will also be served on the day. Did you know that until fairly recently Wagardu Lake was known as Loch McNess? I thought this was due to the superstition there was a monster which attacks the unwary. You can imagine many many years ago sitting beside the lake at night with all the rushes and trees, the weird shapes that would dance about the land and water as the sun set. So is this a reference to the Scottish water with the same superstitions? Well the fact is it was named after a wealthy Western Australian Philanthropist Sir Charles McNess. It has been renamed back to Wagardu Lake in recognition of its original name.